It’s a paradox of sorts, one where some of the wintertime’s best bass fishing action will actually take place when the weather outside is downright frightful. Because when Old Man Winter is at his worst, power plant lakes around Texas, Oklahoma, and the Deep South will be cranking out the energy and turning loose a fresh supply of warm water discharge into such water bodies. And that can keep the largemouth bass on the happy side, if not actually causing them to start thinking about the spawn even as Santa Claus prepares to come to town. Who knows? Maybe jolly old St. Nick will pack his rod, reel and tackle box this year as he heads south with his team of reindeer and a sleigh full of presents. If St. Nicholas needs a guide, professional bass angler Kelly Jordon – the only bass fishing pro to ever win tour level events on the Bassmaster Elite Series, the FLW Tour, and Major League Fishing circuits – would be more than willing to have Santa aboard his Skeeter bass rig. As long as he can quickly locate a power plant lake’s best water temperature readings that will cause bass to be a bit on the active side. "When you put your boat in the water, look at the water temp right where you are," said KJ. "Because understanding how and where the warm water is found and being distributed around the lake, that's the number one factor in determining where the fish are and what they are going to be doing." On smaller bodies of water, the effect of the warm water discharge will be seen over much of the lake. On larger bodies of water, the warm water will be near the discharge canal or structure and in places where the current takes it. "If it's a small lake, basically, the whole lake will be fairly warm," said Jordon. "When that's the case, I just think about what would be happening on my home lake, Lake Fork, and then I add two or three months to the current date. "In other words, when I'm fishing on a small power plant lake, if it's January on the calendar, I plan to fish it like I would Fork in March or April." What about if the lake is quite a bit larger? "You might only have to go a mile or two and you'll be fishing in a whole different range of water temperatures," said Jordon. "That gives you a ton of options – on some of these lakes, you can literally catch fish in the pre-spawn, the spawn and the post-spawn, all on the same day, and all without burning up a lot of gas." The key, just as when fishing in lakes without hot water circulating through them, is to know what the temperature is causing the bass to do on a given day. "When you get out on the water, if you see 60-degree water somewhere in the morning hours, then there are probably going to be some fish on the bed somewhere nearby," said Jordon. "For water temps below that, somewhere in the mid to upper-50s, that's prime pre-spawn time and you can probably catch the bass pretty well on some sort of reaction bait if they're active. Think lipless crankbaits, shallow to medium diving crankbaits, squarebills, spinnerbaits and stuff like that. 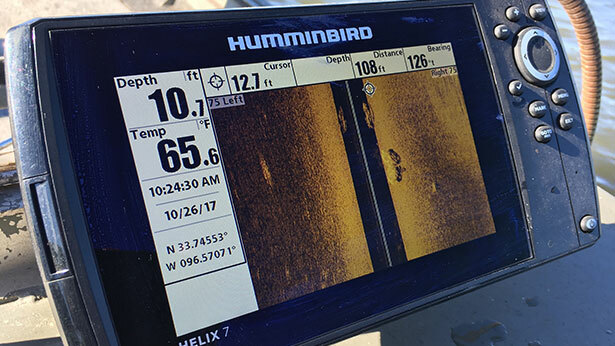 "If you see water temperatures in the lower to mid-70s, there might still be some spawners up on the beds, but they will probably be tougher to catch. But there should be a good number of fish active in the post-spawn phase and that means that you can whip out a topwater if you like to catch them on the surface." 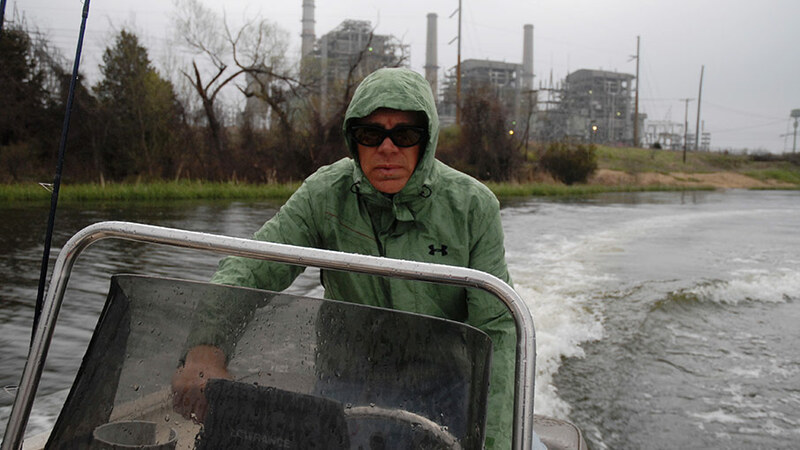 Once an angler figures out what the water temperatures are like on a power plant lake, Jordon says to then look for the structural features that bass relate to, to find sweet spots of vegetation and cover to target, to locate areas of current, and to understand the overall atmospheric conditions affecting bass on a given day. In terms of the latter, I asked Jordon if power plant lake bass are as susceptible to big wintertime cold fronts as fish on natural lakes are. "Well, they'll certainly react to big pressure changes, for sure," said Jordon. "But I'd say that while they might slow down on the second day after a big front, they'll start getting more active again on that third and fourth day after the front. "And because the water is more like a hot-tub to the bass than regular lakes are, I guarantee that they'll recover quicker than bass do on lakes that have colder water in them." And that’s all the reason that Jordon – and jolly old St. Nicholas, for that matter – should need to pack the bass fishing gear, even during the cold, dreary days of late December.